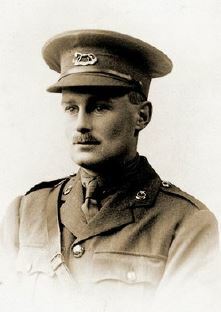 He joined the Abingdon Squadron of the Imperial Berkshire Yeomanry (Regt No 1040) sometime in 1906. When the Yeomanry was mobilised in 1914 he had risen to the rank of Sergeant and in April 1915 he went with the Regiment, part of the 2nd Mounted Division, to Egypt and was there promoted to Squadron Sergeant Major. He later became ill with fever and jaundice and spent three months in hospital in England. On recovery he took a commission in the Regiment and rejoined them in Palestine as a 2nd Lieutenant. They took part in all the heavy fighting up to and just after the fall of Jaffa. Richard, age 30, was killed on 21st November 1917 while ‘observing’ for the artillery during the Battle of Nebi Samwil in front of Jerusalem. 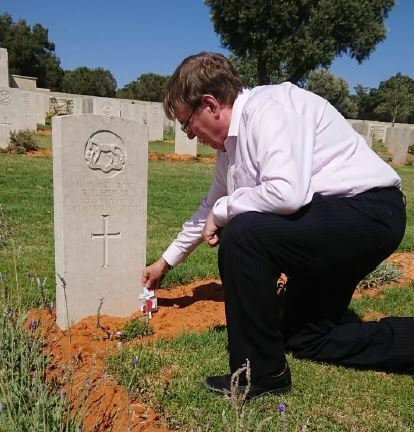 Second Lieutenant Richard Tuckey Hewer, Berkshire Yeomanry, is buried in Jerusalem War Cemetery, Israel. He is remembered in Thame on the War Memorial and on the Memorial Boards of St Mary’s Church and All Saints’ Church.